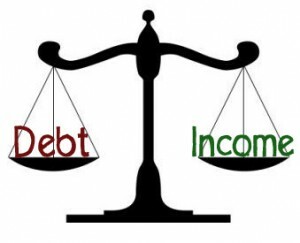 One of the factors that lenders look at when qualifying borrowers is debt to income ratio called DTI. In short, DTI ratio is the amount of debts dividing by borrower’s incomes. As you may have guessed, lenders like DTI to be low. For conventional loans, max DTI has recently increased since July 2017 from 45% to 50%. FHA loans may be stretched up to 55%. Do not include anything like utilites, phones, dining, traveling, grocery shopping, or other cash expenses. Now divide the total debt by total income. This should be your DTI.